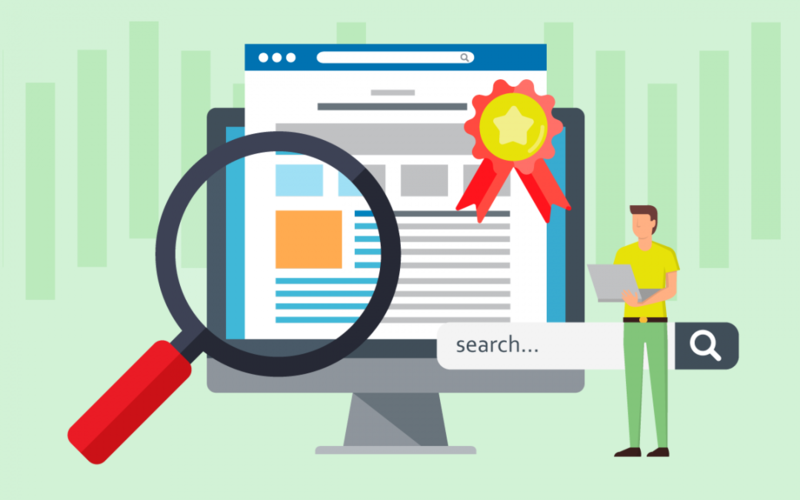 Search Engine Optimization (SEO) is a great way to drive quality traffic to your website; yet, it’s a commonly misunderstood aspect of digital marketing, especially by non-marketers. So, it’s important when creating your SEO marketing reports for managers and clients that you make them both digestible as well as engaging and informative. But how do you make what’s often very dry statistics into interesting and relatable to your often non-technical audiences? To help you with this seemingly insurmountable feat, here are some guidelines you should follow to create useful and interesting SEO reports. While it might be tempting to simply download the search query reports and keywords rankings, and simply flip those over to your stakeholders, that might not be enough for your audience. You need to really consider what will answer your audience’s questions as well as what your overall objectives and goals are. So, before starting your report, really think about your audience’s needs. What KPIs are they looking for, or is there a particular goal that you’re working towards? Are your stakeholders more interested in current keyword rankings or how much traffic a post garnered? Or, do they just want to know that your efforts are converting into sales? Really considering what you need to report will eliminate headaches and confusion down the road. Besides the numbers, you also need to show what you’ve been doing, i.e. page optimization efforts, technical updates (correctly 404 errors and adding 301 redirects), content marketing posts, etc. Talk about what you’ve done to meet the overall goals and objectives as well as any challenges you’ve run into and what you’re going to do in the future to overcome those challenges. You should also identify opportunities and new recommendations for meeting KPIs. Besides the metrics that you need to report, you should also consider how often you want your report to go to your stakeholders. For example, SEO reports pertaining to content marketing efforts might make sense to be sent on a monthly basis to show how new posts or pages are contributing to overall traffic. Your more technical reports (keyword rank movement or keyword cannibalization), however, might make sense to be shown more on a quarterly basis. Yet, there are some technical issues that you should be looking at on at least a monthly basis, especially crawl errors or site load time, especially if you’ve been trying to improve both of these items. What Metrics Should I Report? Number of form fills, calls, sales, leads, etc. Always discuss with your team or management what they want to see in your reports. And, your reports may differ based on who’s receiving it. For example, your own team may want more detailed information on SERPs and traffic while management may only be interested in conversions and what is contributing to leads. Now that you’ve determined what you need to report, you need to set the expectations of your audience. SEO is a long game. Great results don’t happen overnight – something many of your stakeholders won’t understand. In the past, you could almost have an immediate reaction. You’d add a few keywords (or in the age of keyword stuffing – a lot of keywords), and you’d probably see some reaction. Nowadays, there’s a lot more strategy involved. The problem is that we still see ads and promises from unscrupulous “SEO professionals” who promise first-page results in a month. Even the best SEO marketer can’t make that a reality. Incremental change over time, however, is a reasonable goal. So, you need to create reachable goals. For example, we’ll increase overall rank for X keywords by X time. Or, you’ll see an increase in organic traffic by X percent over X amount of time. Your reports, however, should show your overall strategy and have benchmarks that you wish to reach. This strategy should be clearly stated both in the reports and before you even begin the work. 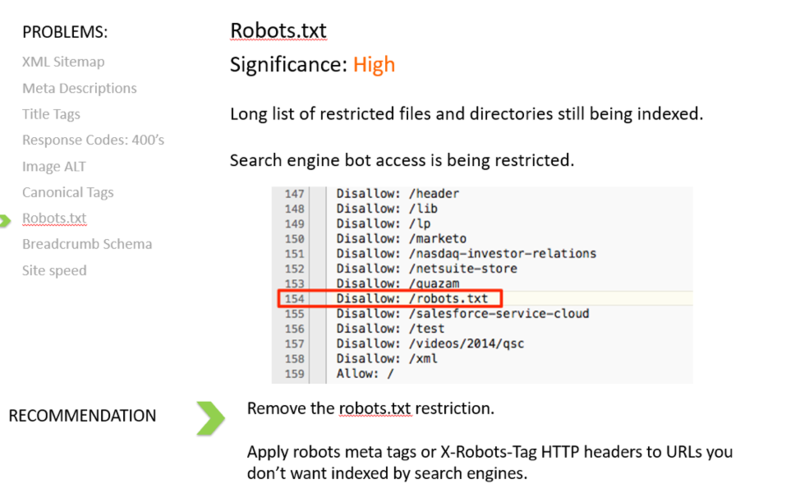 When working on this post Sujan Patel, co-founder of Right Inbox, told us that “having a better understanding of each of the data points (301 redirects, Metadata structure and backlinks etc.) included in the report, will in turn help your reporting skills.” So you must be prepared to invest energy into both gaining a deeper understanding of your key data points, as well as executing on them, say, ensuring that meta tags are on every new page created. You should also evaluate your strategy on a regular basis and be prepared to pivot. All of this should be clearly communicated on a regular basis, and the report is one of the best places to do this. Be prepared to answer questions about this often, especially if your audience isn’t very versed in SEO. As mentioned, you can’t make unrealistic goals. The likelihood of reaching page one in a month is really near zero in the majority of cases, but you can still showcase that you’re making progress. Your goals should be broken down into a handful of categories depending on the objectives of your team or company. Leads/Conversions: If your goals center around getting more phone calls or form fills, then your reports should focus on this main theme. What have you done to increase conversions? For example, if you’re in the preliminary phases, and you’re not getting a lot of leads, then you might experiment with shortening your form to make it quicker to fill out. Organic Traffic: Perhaps, this involves a reduction in bounce rate. Maybe, when you started working on this, the bounce rate was over 90% due to poor load time or broken links. If you demonstrate that your fixes led to a decrease in bounce rate by over 40%, you have proven your effectiveness. 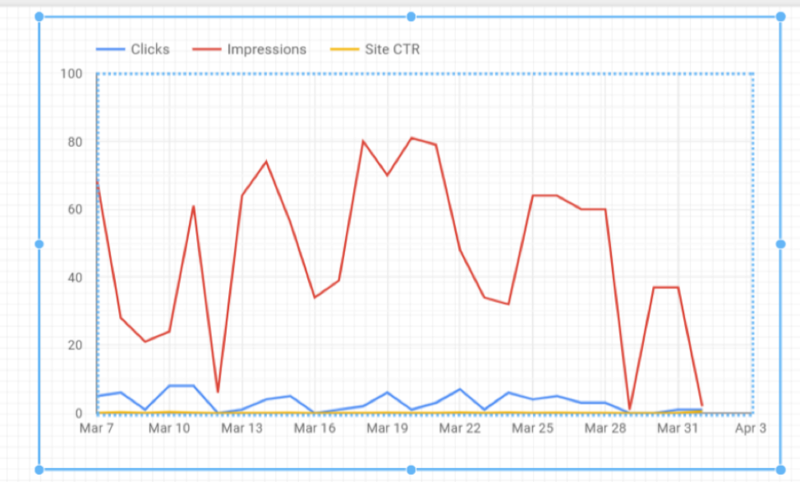 You should also show increase in organic traffic over time. Reach/Branding: If you’re just building your brand, then you want to increase who’s talking about your brand. So, your efforts are going to center around keywords that mention your brand and whether these increase over time. Or, if you’ve had some bad press, this could involve trying to protect your brand by increasing positive mentions over negative ones. You should showcase an increase in backlinks to more quality, positive articles, or how these articles are now ranking higher than negative ones. For all of these reports, you must set baselines. Before you even start changing anything, capture initial measurements. For at least the first few months or year, have these at the top of the report and show how your changes have improved on these beginning stats. Perhaps, a line graph can show growth over time and how your efforts have really paid off. What Have You Done to Reach Goals? What might seem plain to you might not seem so to others. If you’ve redirected 100 broken URLs to other pages, that might have taken you some time – no matter if you did it manually or via a bulk upload. Doing this will dramatically improve the user experience and, more than likely, the bounce rate. Yet, if you only show a decrease in the bounce rate without the reason behind it, then you are not adequately displaying your worth. Every SEO challenge starts with identifying the issue and putting out a potential solution to solve it. For example, if you notice that you’re getting a lot of visits to your “Schedule an Appointment” page, but no completions, then you might make a hypothesis that the reason has to do with the length of the form fill. So, you will shorten the form or make fewer fills required. You’ll write this up in your report, and then, the next reporting period, you’ll see if that fixed the issue. If it didn’t, you’ll address the challenge again and provide another possible solution. Maybe, you’ve done some more digging, and you now realize that the page load time is extremely long or that a component like the banner is taking forever to load. You’ll alert your stakeholders that you’re planning on fixing these issues, and you’ll report on whether this fixed the problem. SEO involves a lot of technical updates or content marketing efforts – both of which might not have an immediate effect on numbers. So, it’s important to always show how much work you’re doing and what these incremental changes have done. Also, lay out any challenges that you’re encountering and what you plan on doing to address those challenges – even if the changes will take several months. It’s important to always demonstrate that what you’re doing something even if there are no immediate results. This should set the stage for the rest of the stats, including the overall health of your SEO efforts and the website as a whole. The next sessions should go into more depth about what you’ve done, i.e. improved site speed, added keywords to X number of pages, created X number of blog posts, decreased load time, etc. Now, you want to get into the nitty gritty of how things have improved. Lay out which keywords have had positive movement. For example, you might want to exhibit improvements in rank of key keywords or even those that weren’t ranking previously and now are. 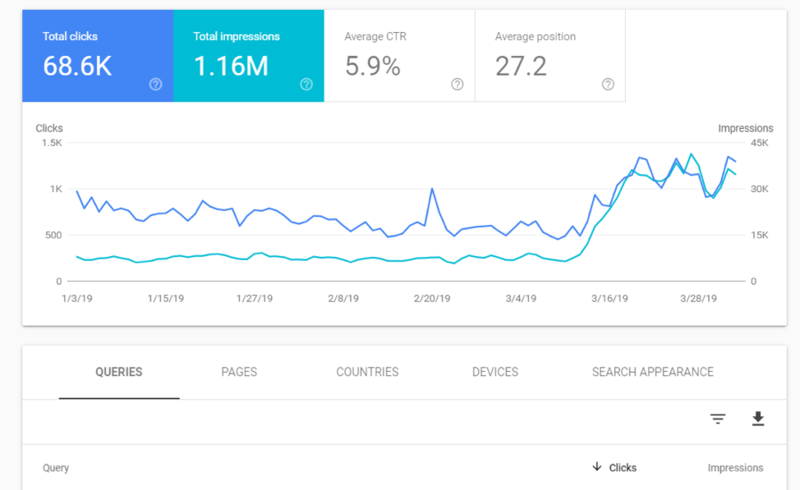 Even if you haven’t seen any significant increase in rank for the reporting period, you could show an increase in clicks or visits to landing pages. No matter what, you need to let your stakeholders know that fluctuations in ranks are normal. You can also take this opportunity to provide recommendations for increasing ranks, i.e. creating a new content strategy around important terms. Your organic traffic should also be growing over time, which you can contribute to page optimizations or even a backlink campaign. While backlinks aren’t really a ranking factor anymore, using social media or getting linked to by a quality site can help drive more traffic to your site as well as increase overall brand awareness. Your report should also cover any technical issues that you have noticed over the month, i.e. fixed broken links, lack of canonical tags or site speed issues that were corrected. You may want to explain why these are a problem and why fixing them was important to the website’s health. Finally, draw some conclusions as to what worked or didn’t work, and what you’re hoping to achieve for the next period. 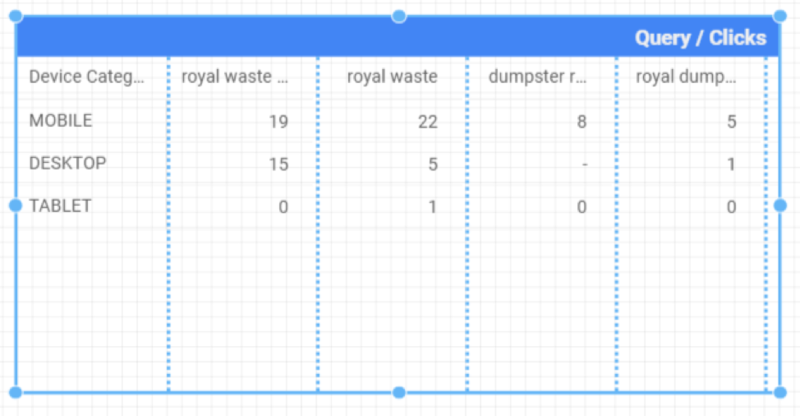 To make your report even more interesting, set up a dashboard in a tool like Google Data Studio, where it can be automatically replicated and shared to everyone who needs to see it. You can also add data connectors like Supermetrics that directly pull all of your marketing efforts into tools like Data Studio. This way you can compare different metrics from different sources. Sign up for a free Supermetrics trial today!